In 1949, Muthamma joined Indian Foreign Service. And she happens to be India’s first woman IFS officer. She also became the first Indian woman ambassador/high commissioner. Sounds odd, but Mansingh had to resign as an IFS officer before she got married. But it was the rule then. There were instances of women IFS officers taking special permission to get married. And women IFS were also paid less than their male counterparts. Mansingh later joined as a professor in Centre for International Politics at the Jawaharlal Nehru University, New Delhi. This 1963 batch IFS officer was India’s first permanent representative to the United Nations in Geneva. She had also served as India’s Ambassador to Egypt. This 1964 batch IFS officer holds the distinction of being India’s first woman foreign secretary. Later, she worked as the vice-chairperson of National Commission for Scheduled Areas and Scheduled Tribes. This 1973 batch IFS officer becomes India’s first woman Speaker of the Lok Sabha, India's lower house of Parliament. 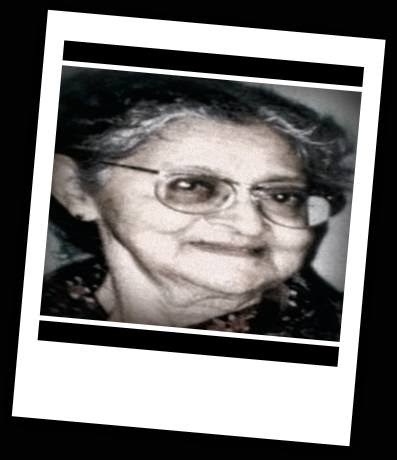 During her service as an IFS, she worked in Indian missions of Spain, United Kingdom and Mauritius. She was also a cabinet minister in Manmohan Singh government. She is a 1970 batch IFS officer who has the distinction of being India’s first female deputy National Security Adviser, and secretary of the National Security Council Secretariat. She was also India’s ambassador to Thailand and the Netherlands. Rao, a 1973 batch IFS, became the first woman spokesperson of the ministry of external affairs (MEA) in 2001 and then India’s first woman ambassador to China. Later, she became India’s foreign secretary, and then India’s ambassador to US. A batch-mate of Nirupama Rao, Shankar became the first woman career diplomat to serve as India’s ambassador to United States (2009 to 2011). She was also India’s ambassador to Germany, and held the post of Director General of the Indian Council for Cultural Relations. Currently the chief of protocol to the Government of India, Kamboj is the first woman IFS to hold this coveted position. This 1987 batch IFS had served as the deputy head in the office of the commonwealth secretary-general, London. She is an Indian Foreign Service officer of 1979 batch. She was the first woman ambassador to any Gulf state. Currently, Wadhwa is Indian ambassador to Japan. The Choudhary sisters are the first pair of sisters in the Indian Foreign Service. Whereas Sudhi Choudhary is of 2009 batch, Nidhi belongs to 2012 batch IFS. These 12 women IFS officers are INDIA's pride. Thank you babusofindia.com for giving this most important news.